The 2018 hurricane season unleashed two devastating storms on the US mainland. Thankfully it all comes to an end November 30. Florence struck Wilmington, NC, in mid-September, arriving as a sprawling Category-2 hurricane. It quickly diminished to Category 1 as it wandered about near Wilmington, but it dumped near-record amounts of rainfall on the area. A month later Michael formed in the Gulf of Mexico just off Venezuela and tracked northward. For most of its path, Michael remained a Category 2, but it suddenly gained speed and headed toward the Florida panhandle as a major hurricane. Before landfall near Mexico Beach it wound into a strong Category 4, reaching a top sustained wind speed of 155 mph. Damage near the eye-wall was devastating. Few buildings in coastal communities hardest hit were left standing. 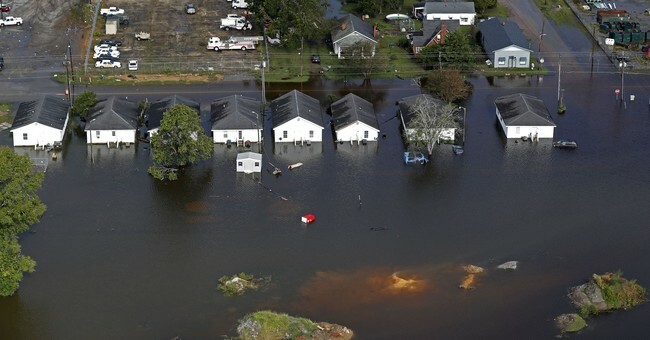 Michael then rampaged across the interior panhandle and into Georgia and western North Carolina, where its rains caused heavy flooding and added more misery for Carolina residents still trying to recover from Florence. Media accounts accurately stated that Michael was the strongest hurricane to hit the panhandle, but Pensacola to the west and Tampa-St. Petersburg to the south, both much more populous, were spared the brunt. Various commentators claimed that Florence and Michael were somehow historically unprecedented in strength and damage caused, and they blamed their strength on global warming. The historical record, though, demonstrates otherwise. The physical damage was great, and the loss of life, as in all hurricanes, was tragic. But a dozen historical US storms exceeded both Florence and Michael in sheer intensity, devastation, and loss of life. The National Hurricane Center preliminarily ranked Michael fourth behind the Keys Labor-Day Hurricane (1935), Camille (1969), and Andrew (1992) for strength. Subsequent analysis suggests that Michael may rank only ninth in the record going back a century. Florence degraded to a Category 2 and then a Category 1 storm as the eye wall moved into North Carolina, so it was certainly not among the most powerful in history. Florence’s principal damage came from torrential rains and flooding as it lingered for several days along the coast before moving inland. By contrast, the major damage from Michael, in maintaining rapid forward movement, came from storm surge and high winds, not rainfall, where it went ashore. The National Hurricane Center ranks hurricanes according to measured or estimated maximum sustained wind speed at landfall and from minimum barometric pressure at the center of a storm. Some storms may acquire Category 5 status over open ocean but lose strength over cooler water before they reach land. For a tropical storm to develop and maintain hurricane strength the water beneath it must remain a minimum of 82 deg. F.
The 1935 Keys Hurricane blew into a Category 5 in waters immediately south of the Florida Keys, then crossed over the inner and middle Keys. It waylaid a train carrying WWI veterans, killing many on board. Subsequent analysis demonstrated it had a wind speed in excess of 180 mph and a record minimum barometric pressure of 26.35 inches of mercury. At least 400 on the Keys died in its storm-surge and winds. Camille came ashore at Gulfport, MS, in August, 1969, also boasting winds of 180 mph. Like Michael this year, its rainfall was not an important factor. But Camille’s storm surge reached 24.3 feet, exceeding that of 2005’s Katrina (22 feet at Bay St. Louis). (Michael’s surge reached nearly 20 feet.) Mississippi’s residents bore the brunt of both storms but received comparatively little attention from the media in 1969 and 2005. Andrew made its frontal strike on heavily populated Homestead and Miami Dade. Up to the time of Katrina it was considered the most damaging hurricane ever to hit the US, based on property losses. But an unnamed hurricane that struck Galveston, Texas in 1900 claims the greatest death toll from any natural disaster in the United States. The storm took the lives of more than 6,000, leaving behind no exact records of wind speed, barometric pressure, or storm-surge height. With Florence and Michael in the history books, neither storm will be missed or soon forgotten in Florida and North Carolina. William D. Balgord, Ph.D. (geochemistry), heads Environmental & Resources Technology, Inc. in Fort Pierce. FL, and is a Contributing Writer for The Cornwall Alliance for the Stewardship of Creation.